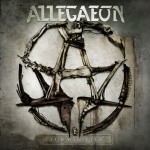 1.Allegaeon- Formshifter (Metal Blade): Brilliant melodic death metal. Brutally beautiful. 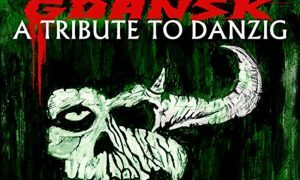 A must-have for extreme metal fans. 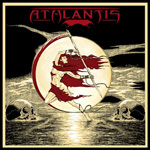 2.Athlantis- MWND (IceWarrior Records): Kind of an old school, throwback power deal going on here. 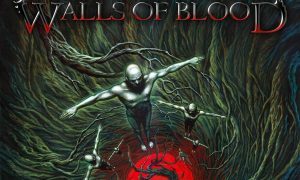 I really liked it as it wasn’t overtly redundant power metal. 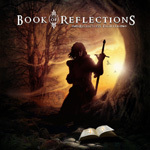 3.Book Of Reflections- Relentless Fighter (Lion Music): Great release from guitarist Lars Eric Mattsson. Wasn’t familiar with this band before, but will certainly seek out the other two albums. 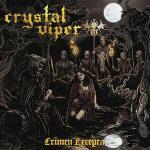 4.Crystal Viper- Crimen Excepta (AFM Records): Fairly straight forward old school metal with healthy doses of thrash, fronted by a female that’s a cross between Leather Leone and Doro Pesch. Some of the incidental stuff kind of detracts, but overall a pretty good listen. 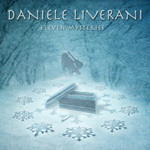 5.Daniele Liverani- Eleven Mysteries (Lion Music): Steve Vai-ish at times shred album, but not quite as off the wall as Vai can be. Will likely only appeal to shred lovers, but it’s melodic enough that others should be able to enjoy it as well. 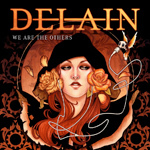 6.Delain- We Are The Others (Sensory Records): At times they seem to fall into the standard female fronted hard rock/metal band, but most of the time they’re able to bypass that pitfall by mixing it up a little different. Pretty good stuff. 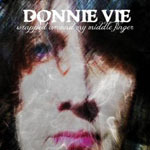 7.Donnie Vie- Wrapped Around My Middle Finger (Livewire/Cargo): Had intended on doing a full review of this, but it fell through the cracks for a while and I’m only just now listening to it. Excellent release from Enuff Z’nuff singer. Always been a fan. 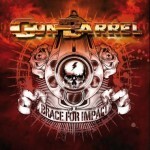 8.Gun Barrel- Brace For Impact (Massacre Records): Good old fashioned sleazy hard rock. Unapologetic and in your face, just as it should be. 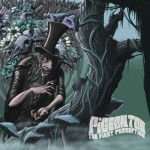 9.Pigeon Toe- The First Perception (Lifeforce Records): Loving it! 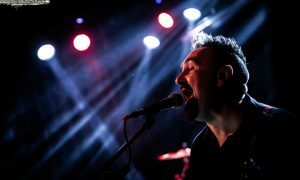 Heavy, proggy, surreal. Brilliant! 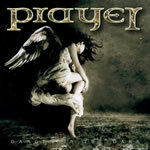 10.Prayer- Danger In The Dark (Escape Music): Can’t quite put my finger on it, but despite enjoying a lot of what this album provides, there was something keeping me from loving it, but I’m not sure what. 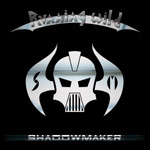 11.Running Wild- Shadowmaker (Steamhammer/SPV): Much like the Vie album had intended a full on review of this, but it’s been out a bit now so I’ll just mention it here. If you love Running Wild then this one shouldn’t disappoint. 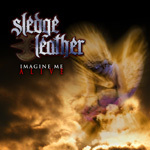 12.Sledge Leather- Imagine Me Alive (Metal Up Records): Proper old school metal. Leather Leone sounds better than ever. At times a bit over dramatic, but overall an excellent release. 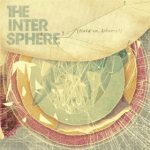 13.The Intersphere- Hold On Liberty (Long Branch): Melodic, prog, and alternative rolled into one. 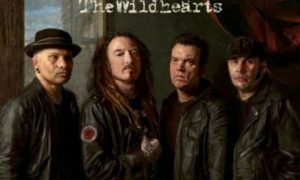 Think Incubus meets Coheed and Cambria, but not exactly. 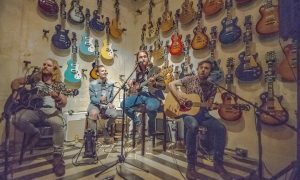 Catchy and melodic, complex and daunting, unique enough to keep your interest, but not so bizarre as to lose the listener. 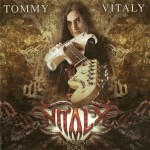 14.Tommy Vitaly- Hanging Rock (IceWarrior Records): Second solo album from former Seven Gates guitarists. 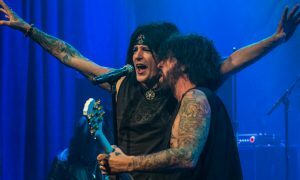 Multi-singers, including new Queensryche singer Todd LaTorre. 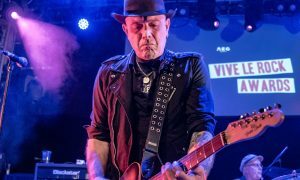 Brilliant guitar work and some great songs. 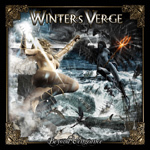 15.Winter’s Verge- Beyond Vengeance (Massacre): Figured it was standard power metal so was set to really dislike it, but it’s actually more along the lines of Symphony X with power moments. I ended up liking this one quite a bit actually. 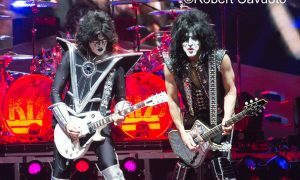 if you are into the days of old where shredders ruled the earth then you will love some of the individual moments of brilliance to be found on ROCK THE NIGHT. 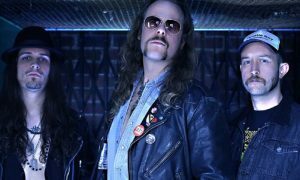 MAIDEN, PRIEST, DIO, SAXON….If these names are of any relevance to you then I suggest you seek this little E.P out…Damn I can’t wait to see what these guys can do with a full album. something we here at Global Mind are calling Mind Scans. Every week (for now) I will select 10-15 albums and write a brief summary about them to give you, the reader a basic idea if the album is worth your time to check out or not. 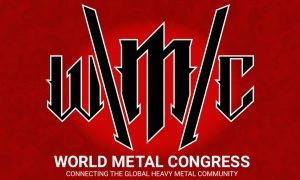 Plus this gives us the chance here to get more bands information out there to the public, which is ultimately what our purpose and goal is here at My Global Mind. Enjoying your scans! Have discovered several very nice bands in these first two editions. Give us more of it.